The election was held amid the effects of a harsh financial crisis and José Luis Rodríguez Zapatero's government's perceived failure to cope with the worsening situation of the country's economy resulted in the ruling Spanish Socialist Workers' Party (PSOE) being swept from power in the worst defeat for a sitting Spanish government since 1982. The PSOE lost roughly 38% of its 2008 vote (4.3 out of 11.3 million) and garnered only 110 seats and 28.8% of the share—its worst ever result in a general election since the Spanish transition to democracy. In contrast, the opposition People's Party (PP) won a record 186 seats and 44.6% of the share, scoring a clean sweep across the country by winning in every region except for Catalonia and the Basque Country. Aside from the PP, the main beneficiaries of the PSOE's debacle were United Left (IU), with its best result since 1996; Union, Progress and Democracy (UPyD), which obtained more than 1 million votes and won 5 seats; Convergence and Union (CiU), which recovered from its negative results in both 2004 and 2008 and, for the first time in democracy, won a general election in Catalonia; and the abertzale left-coalition Amaiur, which won the most seats in the Basque Country region. As a result of the election, PP leader Mariano Rajoy was sworn in as new Prime Minister of Spain, leading a majority cabinet after nearly eight years of Socialist government. Following changes to the electoral law which took effect for the 2007 municipal elections, candidates' lists were required to be composed of at least 40% of candidates of either gender and each group of five candidates to contain at least two males and two females. Parties and coalitions of different parties which had registered with the Electoral Commission could present lists of candidates. Groups of electors which had not registered with the Commission could also present lists, provided that they obtained the signatures of 1% of registered electors in a particular district. Also, since 30 January 2011, political parties without representation in any of the Chambers in the previous general election were required to obtain the signatures of 0.1% of registered electors in the districts they wanted to stand for in order to present lists for those districts. 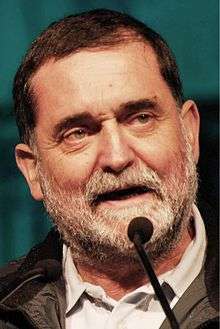 The 2008 general election had resulted in a victory for the Spanish Socialist Workers' Party (PSOE) of José Luis Rodríguez Zapatero, which nonetheless fell 7 seats short of an absolute majority. The Socialists had been re-elected on a full employment platform, despite the Spanish economy showing signs of fatigue and economic slowdown after a decade of growth. As a result, Zapatero was sworn in as Prime Minister of Spain for a second term in office in April 2008. Zapatero's second term would be dominated by the 2008–11 economic and financial crisis. The effects of the economic crisis in Spain started to become apparent at the beginning of Zapatero's second term. The first measure adopted by the newly elected government to mitigate the economic slowdown was an injection of €10 billion into the Spanish economy, of which €6 billion were to fulfill a €400 tax reduction as part of the PSOE 2008 election pledges. Over the next months the government was forced to lower its economic growth forecast for 2008 from 3.1% to 2.3%, then to 1.6%. The government also had to cope with a transport strike on 9–15 June, motivated by a rapid increase in oil prices. Zapatero initially refused to publicly acknowledge the existence of the economic crisis, to which he referred as "intense temporary slowdown" or "economic weaknesses". On 23 June 2008, Zapatero's cabinet adopted an "austerity plan" intended to save €250 million—consisting of a 70% reduction in the public job offer and a salary freeze for senior public servants—as well as financial stimulus measures—injection of €35 billion to SMEs and €2.5 billion annually until 2010 to improve the efficiency in the hotel sector—in order to soften the impact of job losses and rising oil prices, with Zapatero finally acknowledging the crisis during an interview on 8 July. Meanwhile, Martinsa-Fadesa bankruptcy filling in July 2008 as a result of the Spanish property bubble bursting turned into Spain's biggest ever corporate default. Job destruction in Spain became increasingly noticeable: by August 2008 2.5 million were already unemployed, the highest figure in 10 years. By December 2008, Spain would become the country with the highest job destruction rate in the world, with unemployment nearing 3 million. In October 2008, the government announced a €100 billion guarantee for bank debts and the creation of a €30 billion worth fund—extendable to €50 billion—to purchase 'healthy' assets from banks and savings banks "to ensure the Spanish market liquidity". From November 2008 to January 2009, the government proposed a €50 billion stimulus plan—with €8 billion destined to public investment in municipalities—expected to create 300,000 jobs throughout 2009, which was later criticised for its spending unsustainability and for creating "unproductive" jobs. In Q4 2008 the Spanish economy officially went into recession after a GDP fall of 1.1%—having already fallen by 0.3% on Q3 2008—putting an end to 15 years of uninterrupted economic growth. On 28 March 2009, the Spanish government launched a €9 billion bailout to rescue Caja Castilla La Mancha, the first Spanish savings bank to be intervened during the crisis, to be followed by CajaSur in 2010, the nationalization of CAM, Unnim, CatalunyaCaixa and Novagalicia Banco in 2011 and the intervention and nationalization of Banco de Valencia in 2011–12. As part of the bank restructuring, the FOBR was created in June 2009 to preside over the mergers and acquisitions of the failing savings banks. In April 2009, Pedro Solbes was replaced as Spain's Economy and Finance Minister by the low-profile Elena Salgado as part of a major cabinet reshuffle, in a move seen as Zapatero seeking to take more direct control of economic policy himself. By Q2 2009, unemployment had grown to 17.9%—more than 4 million unemployed—and the GDP had fallen by 4.2%. This prompted Zapatero to announce on 28 August 2009 that the 2010 budget would include a "limited and temporary" tax increase worth €16 billion—dubbed by many as the largest tax rise in history—to tackle the revenue fall and spending increase resulting from the crisis. Further measures, such as the suppression of the €400 tax reduction and a VAT increase from 16% to 18%—in its standard rate—and from 7% to 8%—in its reduced rate—were announced in the following weeks. The end of 2009 would see unemployment climbing to 18.8%, with public deficit soaring—11.4% of GDP—and forcing the government to approve on 29 January 2010 a €50 billion worth-savings plan for the 2010–13 period, cutting all public spending except for social benefits, welfare state policies and those involving a production model renewal. However, despite the government's efforts, the economic situation kept worsening. On 5 February, Spain's risk premium reached the 100 basis point-mark in a black week for Madrid Stock Exchange—with the IBEX 35 falling by 9.3%. By early May 2010, unemployment had reached the 20% mark for the first time since the 1993 economic crisis, while the crisis in Greece, threatening to engulf the remained of the eurozone, caused the risk premium to rise dramatically by 60% to 170 basis points and the Madrid Stock Exchange to fall by 10%. As a result, Zapatero announced a €15 billion austerity package on 12 May aimed at preventing the country's default. Among the adopted measures were a cut of 5% in public wages, a pension freezing for 2011, cuts into dependency spending and the removal of the €2,500 birth allowance, among others. Zapatero's U-turn, breaching a previous pledge not to cut social spending, caused his and the PSOE's popularity ratings to plummet in opinion polls. On 9 September 2010, the PSOE government approved a labor reform, which included suspension of collective agreements during economic downturns, a lower redundancy pay in cases of wrongful dismissal—from 45 to 33 days per year worked—or cheaper dismissals for companies facing losses, among others. The reform, coupled with the cut in public wages and the pension freeze, provoked the Socialist government to face its first general strike on 29 September. In order to tackle dropping poll numbers, a major cabinet reshuffle took place on 20 October, resulting in a number of ministries being disbanded and long-time First Deputy Prime Minister María Teresa Fernández de la Vega being replaced by Interior Minister Alfredo Pérez Rubalcaba. The risk premium kept growing and peaked at 270 basis points by the end of November. Zapatero's government announced a new austerity package on 1 December—including the removal of a €426 allowance for long-term unemployed and the privatizations of AENA and the Lotteries—but also a tax cut for SMEs. In the following weeks, Zapatero would also announce an increase of the retirement age from 65 to 67 to be applied "flexibly and progressively" until 2027. 26 September 2011 The Council of Ministers convenes to approve the decree ordering the Cortes Generales' dissolution and the calling of the general election on the advice of the Prime Minister. Subsequently, the decree is ratified by the King. 27 September 2011 The decree enters into force by its publication in the BOE. Parliament is officially dissolved and the general election is called. Official start of the electoral period. 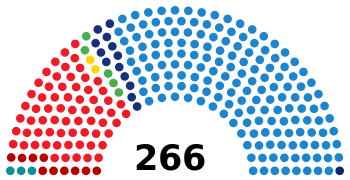 7 October 2011 Deadline for parties intending to contest the election in coalition with other parties to communicate it to the appropriate electoral boards. 19 October 2011 Submitted candidacies are provisionally published in the BOE. 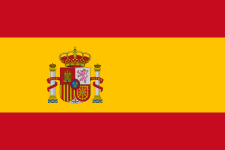 22 October 2011 Deadline for Spanish electors residing abroad to apply for voting. 25 October 2011 Candidacies for parties, coalitions and groups of voters standing for election are proclaimed and published in the BOE after a period of notification and amendment of possible irregularities in 20–22 November 2015. 4 November 2011 Official start of the electoral campaign at 00:00 CET (UTC+01:00). 10 November 2011 Deadline for electors residing in Spain to apply for postal voting. 15–19 November 2011 Legal ban on opinion polling publication in Spanish territory. 18 November 2011 Official end of the electoral campaign at 24:00 CET (UTC+01:00). 19 November 2011 Reflection day. 20 November 2011 Election Day. Polls open from 09:00 CET to 20:00 CET. Provisional vote count officially starting from 21:00 CET. From this day, the incumbent government assumes caretaker functions until a new government is formed. 13 December 2011 The elected Congress and Senate convene. Republican Left of Catalonia (ERC) The Republic of Yes "We Want the Republic of Yes"
Name Invited Participant. N Non-invitee. A Absent invitee. 1 2 People's Party results are compared to the combined totals of the PP, PAR and EU in the 2008 election. 1 2 IU–LV results are compared to the combined totals of IU and CHA in the 2008 election. 1 2 Amaiur results are compared to the combined totals of EA and Aralar in the 2008 election. ↑ CC–NC–PNC results are compared to the combined totals of CC–PNC and NC in the 2008 election. ↑ Compromís results are compared to the Bloc–Initiative–Greens totals in the 2008 election. ↑ Andalusian Party results are compared to Andalusian Coalition totals in the 2008 election. ↑ Geroa Bai results are compared to Nafarroa Bai totals in the 2008 election. ↑ PCAS results are compared to Commoners' Land totals in the 2008 election. ↑ People's Party results are compared to the combined totals of the PP and PAR in the 2008 election. ↑ Alliance of PSC (6 elected seats) and ICV–EUiA (1 elected seat). With an overall voter turnout of 68.9%—the lowest in a decade—the Spanish Socialist Workers' Party (PSOE) suffered its worst ever defeat in a general election, while also scoring one of the worst electoral performances for a ruling party in Spain since the UCD collapse in the 1982 election. The People's Party (PP) was able to win an historic absolute majority with 186 out of 350 seats—the largest obtained by a party since 1982—after almost eight years in opposition. The PSOE went on to finish below first place in all but two provinces—Barcelona and Seville—while also losing both Andalusia and Catalonia, which up to that point had been carried by the PSOE in every general election. The 2011 Spanish election marked the continuation of a string of severe government election losses across European countries since the start of the 2007–08 financial crisis, including Iceland, Greece, Hungary, the United Kingdom, Ireland or Portugal. Minoritary national parties, such as United Left (IU) and Union, Progress and Democracy (UPyD), benefitted greatly from the PSOE collapse, winning 11 and 5 seats respectively—2 and 1 in the previous parliament. This was the first time since the 1989 election than more than one of the smaller nationwide-contesting parties obtained more than 1 million votes in a general election, as well as enough seats to form parliamentary groups on their own right. The PSOE collapse also resulted in nearly all parties winning parliamentary presence in the Congress of Deputies increasing their vote shares—only Republican Left of Catalonia (ERC) and Geroa Bai (GBai) lost votes compared to 2008. 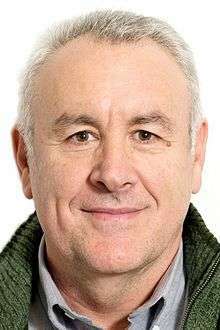 The Basque Nationalist Party (PNV) lost 1 seat despite scoring higher than in 2008, but this came as a result of Amaiur's irruption, with 6 out of its 7 seats being elected in the Basque Country. Convergence and Union (CiU), the party federation formed by Democratic Convergence of Catalonia (CDC) and Democratic Union of Catalonia (UDC), was elected to an historic general election victory in the region of Catalonia. The Socialists' Party of Catalonia (PSC), PSOE's sister party in the region—which had, up until that point, been the first Catalan political force in every general election held since 1977—scored a poor showing by finishing in second place with 27% of the vote. 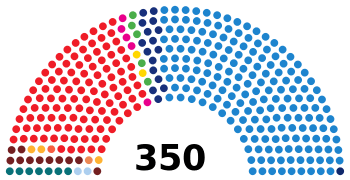 The 2011 election would be the last time both parties would dominate the Catalan political landscape in a general election; the next election, held on 20 December 2015, would see the alliance between CDC and UDC broken and the PSC being crushed to third place regionally by both the En Comú Podem alliance and ERC. In terms of vote share, PSOE's electoral result, with 28.76%, would remain the worst electoral performance for a sitting Spanish government in a nationwide-held election since 1982 until the European Parliament election, 2014 held two and a half years later, when the PP obtained 26.09% of the share, and in a general election until 2015—the PP obtaining 28.71%. On 20 December 2011, Mariano Rajoy was elected in the first round of voting as Prime Minister with an absolute majority of votes (187 out of 350) in the Congress. ↑ "Iñaki Antigüedad será el cabeza de lista de Amaiur por Bizkaia el 20-N". Deia. 2011-10-12. ↑ "Rajoy obtains historic absolute majority for the PP with 186 while PSOE flounders with 110" (in Spanish). RTVE. 2011-11-20. 1 2 "Royal Decree 1329/2011, of 26 September, of dissolution of the Congress of Deputies and Senate and of the calling of elections" (PDF). Boletín Oficial del Estado (in Spanish) (232): 101835–101836. 27 September 2015. ISSN 0212-033X. ↑ "OSCE observers task force report on 2008 Spanish election" (PDF). Organisation for security and cooperation in Europe OSCE. Retrieved 2011-03-06. ↑ "BOE.es – Documento consolidado BOE-A-1985-11672". boe.es. Retrieved 2016-04-16. ↑ "The PSOE ignores the economic slowdown and says we are "much" better than four years ago" (in Spanish). Libertad Digital. 2008-01-07. ↑ "The government will approve on Friday an injection of €10 billion" (in Spanish). El Mundo. 2008-04-13. ↑ "The government says that "rising unemployment" and "the economic downturn" will solved by 2009" (in Spanish). Libertad Digital. 2008-05-06. ↑ "The government, at odds with the crisis" (in Spanish). El País. 2008-07-25. ↑ "The strike paves the way to the crisis" (in Spanish). El País. 2008-06-15. ↑ "Zapatero christens the crisis: "A now more intense temporary slowdown"" (in Spanish). Libertad Digital. 2008-05-09. ↑ "Neither crisis nor slowdown: Zapatero now talks about economic "weaknesses"" (in Spanish). El Confidencial. 2008-05-14. ↑ "The government's 21 measures to address the crisis" (in Spanish). La Voz de Galicia. 2008-06-23. ↑ "Zapatero promises profound reforms to address the crisis" (in Spanish). Cinco Días. 2008-06-24. ↑ "Zapatero first mentions the word "crisis" to refer to the economic situation" (in Spanish). El País. 2008-07-08. ↑ "Martinsa-Fadesa announces the largest default in Spain's history" (in Spanish). El País. 2008-07-14. ↑ "2.5 million unemployed in August, the highest figure in a decade" (in Spanish). hoy.es. 2008-09-03. ↑ "Spain nears 3 million unemployed and turns into worldwide employment destructor" (in Spanish). Expansión. 2008-12-03. ↑ "The government will support the bank debt with 100 billion" (in Spanish). El País. 2008-10-13. ↑ "The government will create a €30 billion worth fund to purchase 'healthy' assets banks and savings banks" (in Spanish). El Mundo. 2008-10-07. ↑ "Zapatero injects €11 billion to municipalities and the automotive industry" (in Spanish). El Mundo. 2008-11-27. ↑ "The government has injected €50 billion with the E Plan, about 2% of GDP" (in Spanish). Público. 2009-05-06. ↑ "Many jobs, but unproductive" (in Spanish). El País. 2009-08-30. ↑ "Recession comes to Spain after 15 years of uninterrupted growth" (in Spanish). finanzas.com. 2009-02-12. ↑ "Spain launches a £8.4bn bailout to rescue a stricken savings bank". The Guardian. 2009-03-29. ↑ "War report: Eight seized or nationalized banks in Spain" (in Spanish). El País. 2012-05-09. ↑ "Spain Gets 'FROB'bed-Off by the EU Commission". Seeking Alpha. 2010-01-21. ↑ "Spain's prime minister brings in a new finance minister". The Economist. 2009-04-08. ↑ "Unemployment Q2 2009" (in Spanish). finanzzas.com. 2009-07-24. ↑ "GDP falls by 4.2%, new negative record in the Spanish economy" (in Spanish). El Mundo. 2009-08-27. ↑ "Zapatero: the tax rise will be "limited and temporary"" (in Spanish). El Mundo. 2009-08-28. ↑ "Zapatero launches the largest tax rise in history" (in Spanish). Expansión. 2009-09-10. ↑ "The government increases standard VAT to 18% and removes the €400 tax reduction" (in Spanish). El Mundo. 2009-09-26. ↑ "Unemployment rises to 18.8% in 2009, the highest in 12 years" (in Spanish). El Mundo. 2010-01-29. ↑ "Public deficit soars at 11.4%" (in Spanish). El País. 2010-01-29. ↑ "The country risk rises in the worst stock week in 11 months" (in Spanish). El País. 2010-02-06. ↑ "Long-term unemployment soars after two years of crisis" (in Spanish). El País. 2010-05-01. ↑ "Spain pays six more times than Germany for its two year-debt interests" (in Spanish). El País. 2010-05-07. ↑ "Zapatero cuts public servants' wages for the first time in history" (in Spanish). El Mundo. 2010-05-12. ↑ "Zapatero announces an historic cut in social spending" (in Spanish). Expansión. 2010-05-12. ↑ "Zapatero overturns his strategy with an unprecedented cut in public wages" (in Spanish). El País. 2010-05-13. ↑ "The PP advantage goes off after the cut" (in Spanish). El País. 2010-05-16. ↑ "Government approves law proposing urgent labour market reform". Eurofound. 2010-09-22. ↑ "The labor reform is launched on Sunday" (in Spanish). El País. 2010-09-19. ↑ "Zapatero extensively reshapes his government" (in Spanish). El País. 2010-10-20. ↑ "Zapatero puts his future in Rubalcaba's hands" (in Spanish). El Mundo. 2010-10-20. ↑ "Why I don't trust in Spain" (in Spanish). El País. 2010-11-28. ↑ "Spain follows Ireland and Portugal: the risk premium marks a new record" (in Spanish). Libertad Digital. 2010-11-29. ↑ "Zapatero announces a tax cut and privatizes AENA and Lotteries" (in Spanish). El País. 2010-12-02. ↑ "Zapatero announces retirement at 67 for 2027 and looks for a pact with Rajoy" (in Spanish). El País. 2010-12-31. ↑ "Electoral Calendar General Election 2011" (PDF) (in Spanish). congreso.es. Retrieved 2016-04-13. ↑ "Organic Law 5/1985, of 19 June, of the General Electoral Regime" (in Spanish). boe.es. Retrieved 2015-10-26. ↑ ""Fight for what you want", PSOE campaign slogan" (in Spanish). Europa Press. 2011-10-20. ↑ "'Join the change', PP slogan for the 20-N election" (in Spanish). Cadena SER. 2011-10-25. ↑ "IU encourages to overcome the PP-PSOE "dichotomy" with its "Rebel!" slogan" (in Spanish). Público. 2011-10-15. ↑ "For UPyD, 'each vote counts' and will fight to obtain the citizens' trust" (in Spanish). Huelva 24. 2011-11-04. ↑ "20-N: Duran launches his web, Twitter and Facebook and pre-campaign slogan '+ x cat'" (in Spanish). Europa Press. 2011-10-06. ↑ "The PNV wants to be the first Basque force in the Cortes Generales" (in Spanish). EITB. 2011-10-20. ↑ "Amaiur or the 'bridge' that aims to bring the abertzale left again into Congress" (in Spanish). RTVE. 2011-11-18. ↑ "Alfred Bosch: "We Want the Republic of Yes"" (in Spanish). esquerra.cat. 2011-10-26.